The Narendra Modi government is clearly worried about the state of the economy. The GDP growth is falling, there are all-round job cuts, let alone the promised job creation, no investment from the private sector and distress among the farmers is on the rise. In the backdrop of rising pessimism about the economy, media reports say, the prime minister and the finance minister Arun Jaitley are about to meet, along with officials, to discuss strategies for the revival of the economy. According to a PTI report, citing sources, the economic situation will be anlaysed threadbare at the meeting on Tuesday. Apart from Jaitley, secretaries of the finance ministry will be also be present. The idea is to explore options to stimulate the economy, the sources have told PTI. 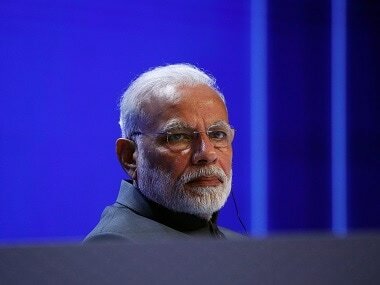 The government data showd GDP growth during April-June slumped to a three-year low of 5.7 percent from 7.9 percent in the year ago period and 6.1 percent in January-March. The growth has been declining steadily for six straight quarters. What is all the more worrying is that economists' projections are pointing towards a protracted slowdown going forward. What are the reasons for the slowdown? Though the growth decline has been visible before the October-December quarter in 2016, the trend shows demonetisation of Rs 500 and Rs 1,000 in November sharpened the fall. Rating agency Crisil in a recent note on GDP noted that the government's 50 basis point downward revision of gross value added for January-March to 5.6 percent meant the impact of demonetisation on the economy was more than earlier estimated. The government had gone to town stating demonetisation has had minimal negative impact on the economy soon after the GDP data for October-December 2016 was released. However, the following quarters showed that the slowdown in the economy was more broadbased. 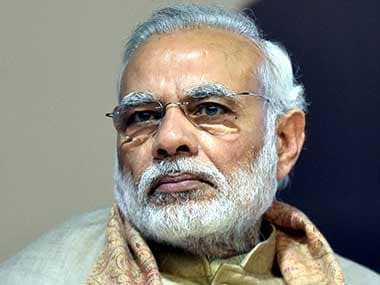 The reason the first data after demonetisation did not reflect the impact in its entirety was that it was the informal sector that was hit more by the move that sucked out 86 percent of the currency in circulation. What made matters worse is the rollout of the goods and services tax, a disruptive reform. The fall in GDP for the first quarter has also been attributed to the destocking by companies in preparation for GST. For the small and medium sector, the hasty rollout of the tax reform has been particularly bad. It was clear that many companies in the sector were not prepared for GST. The government pushed ahead with the reform though many industry groups had urged the government to postpone the introduction. This clearly is taking a toll on the government's revenue. 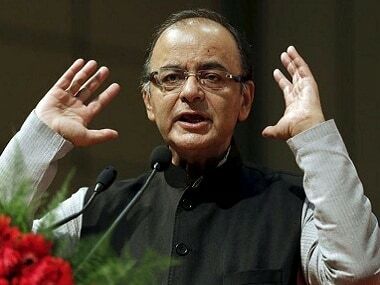 Though initially Jaitley claimed tax collection worth Rs 92,000 crore under GST regime, it now turns out that about Rs 65,000 crore of this is likely to be transitional credit which the traders may claim refund for. Economists are warning that the twin impact of GST and demonetisation is here to stay for some more quarters. According to the recently released data, factory output growth in July slowed to 1.2 percent from 4.5 percent in the year-ago period. This is an indication that the slowdown in the informal sector has now started impacting the formal sector. "The trends in IIP production in July show that capacity utilisation continues to remain significantly low as consumer durables and capital goods output is contracting. This indicates that Q2GDP growth could be tracking sub 6%, as possible inventory drawdown has continued in Q2 also, at least till August," SBI said in a recent report. Brokerage Ambit's recent warning that the consumption story that has held India's economy together since 2012 may be coming to an end due to slow jobs growth has to be read along with this. The report noted that the current retail credit-funded consumption binge is likely to experience a "hard stop" sooner than later on basis of various trends, including a plunge in consumer confidence to a four-year low during the first quarter of the current fiscal. It noted the "current bout of consumption growth appears unsustainable mainly because consumption boom has uniquely been accompanied by a contraction in the investment-GDP ratio" to 7 percent during FY12 to FY17, while the ratio for consumption-GDP is 3 percent. "Cross-country evidence suggests that only consumption booms that are accompanied by an increase in investments tend to be sustainable as this is a tangible proof of jobs being created and/or efficiency improving," it said where the averages of these have been 4 percent each. Former prime minister Manmohan Singh has meanwhile blamed the government for the continuing slowdown in the economy. 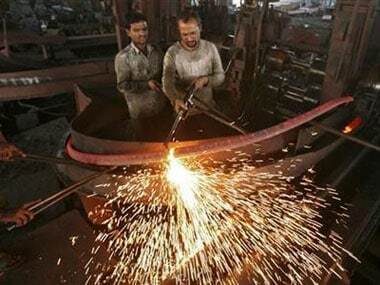 Ninety percent of India's employment is in the informal sector, he told CNBC-TV 18 in an interview. "And the withdrawal of 86 percent of currency plus also GST, because it has been put on practice in haste, there are lots of glitches which are now coming out. These are bound to affect the GDP growth adversely," he said. Senior BJP leader Subramanian Swamy has also warned that the economy may be on the verge of a collapse. “Today, the economy is in a tailspin. Yes, it can crash. We need to do a lot of good things to revive the economy. Even a tailspin can be made to steady. If nothing is done, we are heading for a major depression. There will be mass scale... banks might collapse, factories might start closing,” Swamy told CNN-News18 in an inerview. The writing on the wall is loud and clear. But the government seems to be in a state of denial. While there are concerns expressed, nobody among the authorities is ready to accept the real reasons behind the slowdown. Unless, the government acknowledges these, one cannot expect a rebound in the near future.